Sign up with your email address to receive weekly inspiration to spark SEL discussions for your morning meetings and circle time. Mindful breathing and finding your sense of calm isn’t just for the yoga mat or classroom. 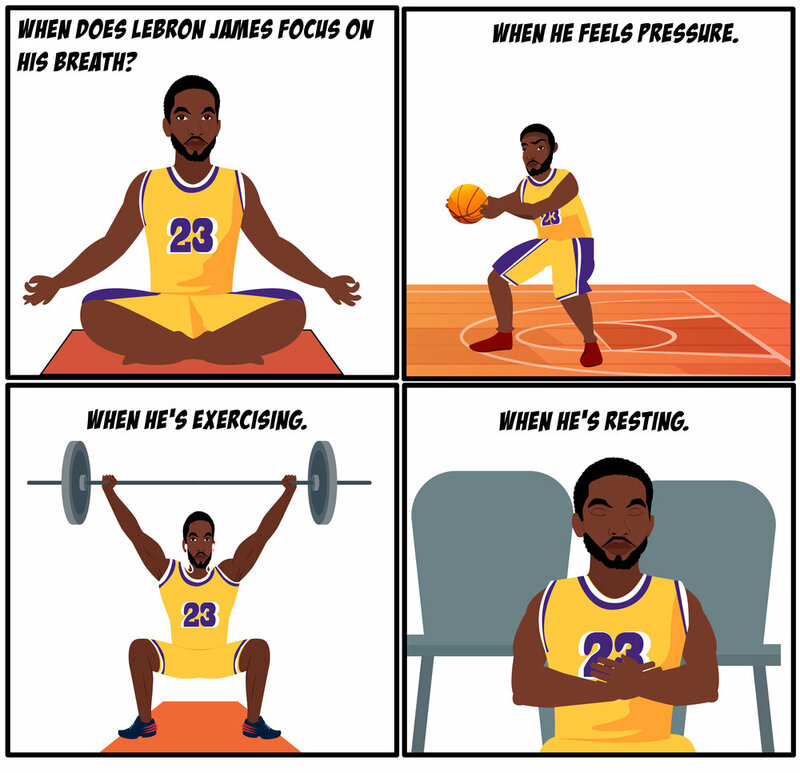 Mindful breathing supports athletes on the court; performers on the stage; friends in disagreement; and more. Listen to a 1-minute audio guide to help introduce this illustration to your students. Activating the vagus nerve powers the parasympathetic nervous system (responsible for unconscious functions like breathing and digestion) and is linked with Oxycontin networks (which help us empathize). What's the secret to activating the vagus nerve? Exercising compassion and understanding the universality of suffering. Read the research. From meta moments to brain breaks, our kids are getting better at recognizing when they need to step away from the big group. But what happens next? Steer kids away from the panting and pouting and encourage them to massage their brains to help soothe their feelings and improve their focus. 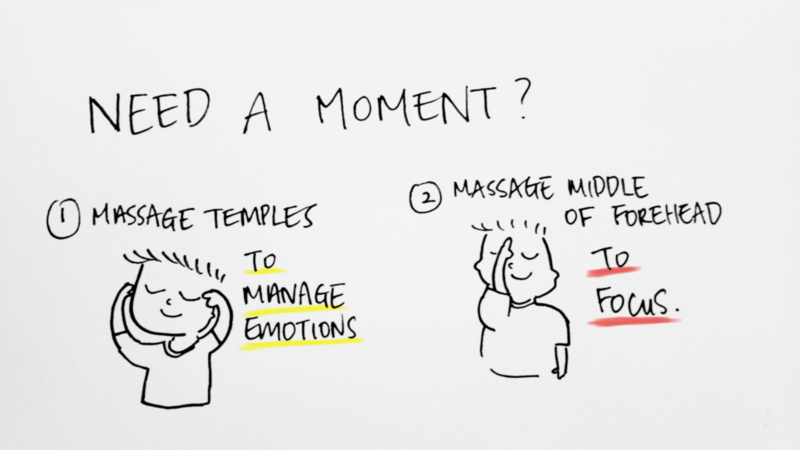 Read more of the research on the benefits of massage. A basketball player at the free-throw line. The final moments before beating the big boss on the final level of a video game. There a moments we are all focused on one thing. Sometimes we have to find out own business so we can stay focused. How do we do this? Bring your attention back to your breath. It's something you can do anywhere at any time. Breathe in and feel your belly and chest inflate with air. Breathe out and feel the air release from your body slowly. Notice how your nostrils, throat and shoulders feel. 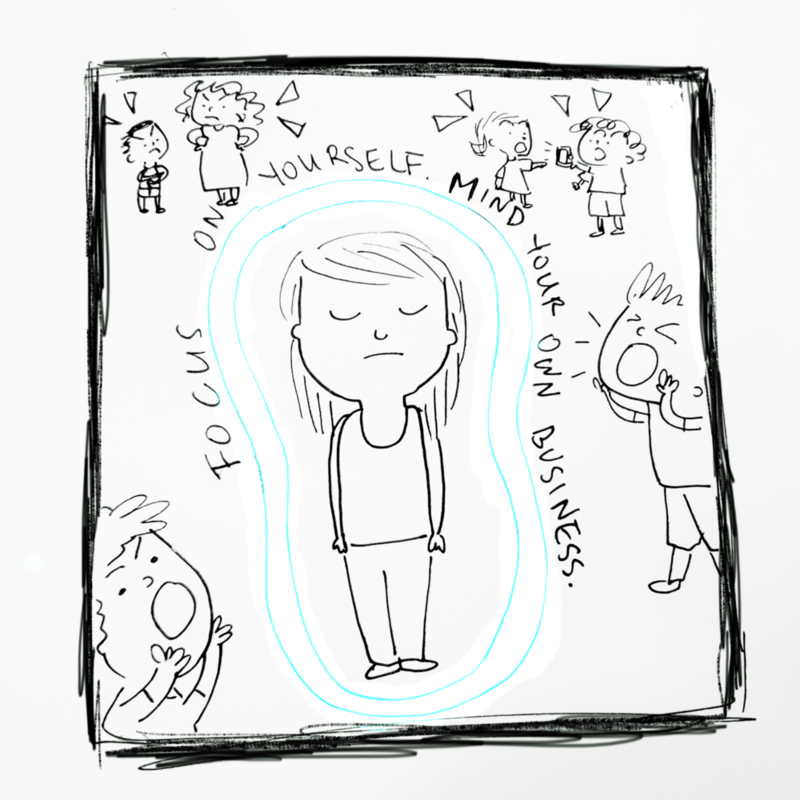 At school when other people are loud, when busy streets are a distraction -- come back to focusing just on your breath to help block everything else out. It takes practice not to react to everything that happens around you. Whether it's out of convenience or a result of the pressure and demands I face, I notice I've historically pushed kids to "move on", "get over it" or that there'll be another opportunity "next time". That's a disservice. For many of our students who have special needs, the concept of time is a challenge and "next time" is not tangible. Suppressing feelings now leads the feelings to shoot out like a machete gun later. For example.... I'm disappointed I lost a game? That reminds me of how my brother used to call me a "loser". I've never been smart of talented enough. That's why I'm always last to get chosen. Something is wrong with me. Instead, encourage students to completely feel that yucky feeling in the moment -- exhaust it. Label the feeling, give it a name. Notice how it makes your body feel. Investigate with kindness why you feel that way. Recognize you are NOT that feeling. Feelings pass. They can swipe, tap and scroll -- but they haven't been shown how to play. How do you join a group? How do you welcome someone in? What happens if I'm left alone? Organized play can help decrease conflict, increase cooperation and improve focus and participation. Check this article about learning through play by The Atlantic. This illustration sets the ground work for healthy and friendly ways to approach play. Things we take for granted, like how to discuss rules of a game or what happens when someone is 'out' -- seem to be a lost art. Quiz, test, exam, exit ticket. Whatever name we give it, our students know they are being assessed and their sympathetic nervous system releases a bunch of hormones -- meaning they put up a wall and stay in their fight-or-flight mode. Until we do away with high-stakes standardized tests, let's create an environment where our students feel safe and proud to attempt, complete and achieve what they can.